Paddler of The Year Nominations Are Now Open! Paddler of the Year Nominations Open! 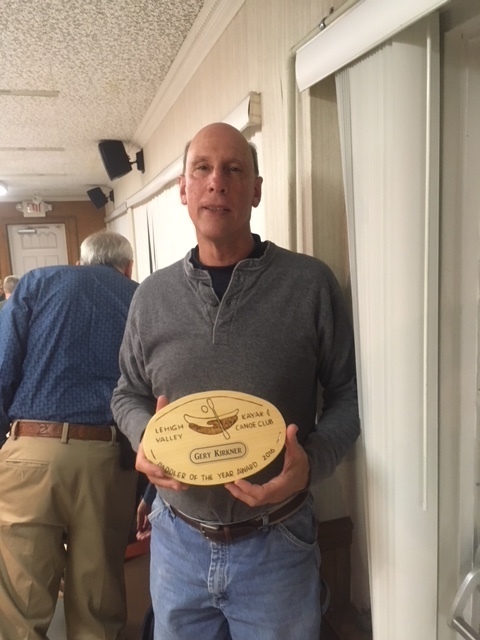 Each spring at the Ice Breaker Dinner members of the Lehigh Valley Kayak and Canoe Club honor a male and/or female member of our club with a very special award- “Paddler of the Year”. Nominations are now open for the 2017 Paddler of the Year. Please read the following criteria for selecting your nominee. Contact Club President Linda A. Martin at: lindaamartin@sellpahomes.com with your nomination and why you think he and/or she should receive this award. Rescued someone from a dangerous situation at risk to their own safety and did it right, regardless of outcome, in a flat water, sea kayaking or moving water environment. ACA Certified Paddle Sport Instructor of any stripe, with significant contributions to the coordination and conduct of instructional classes for the club over multiple years. Active slalom or whitewater racer at the regional or national level. Significant contributions to outreach and education of new paddlers. Significant contributions to the Club (either administrative or otherwise). Significant contributions to paddle sports through the American Canoe Association, American Whitewater or other regional and/ or national activities. Significant contributions to adaptive paddling instruction and /or guiding. 1) Members make nominations in writing to Club President on or before March 15. 2) Club President, Vice President, and past “Paddler of the Year” winners make the final decision as to who should receive the award for that year. 3) Up to two paddlers can be chosen per year— one male and one female. This is not an award for just being a good paddler. Nominations should only be made for widely respected paddlers who conduct themselves as ladies and gentlemen in public and as ambassadors for both the Club and Paddle Sports. Nominees must be over 18 years of age and a member in good standing of the Lehigh Valley Kayak and Canoe Club for the year they are chosen. Next Article2018 Ice Breaker Potluck Dinner!